Environment Will Lower Property Values Be the Trend Along Lake Champlain? Blue-green algae in Lake Champlain. Much of the recent debate about Lake Champlain has focused on the cost of cleaning it up. The Franklin County town of Georgia has turned that around to consider: What's the effect of a polluted lake on the value of property alongside it? The town recently lowered assessments for 37 lakefront properties on Ferrand Road by $50,000 each, based on the seasonal blue-green algae that permeates the water in front of them, said town administrator Michael McCarthy. Residents of the camps and year-round homes along the lake dealt with a dismal mid-summer stench and found the lake unusable for recreation, he said. 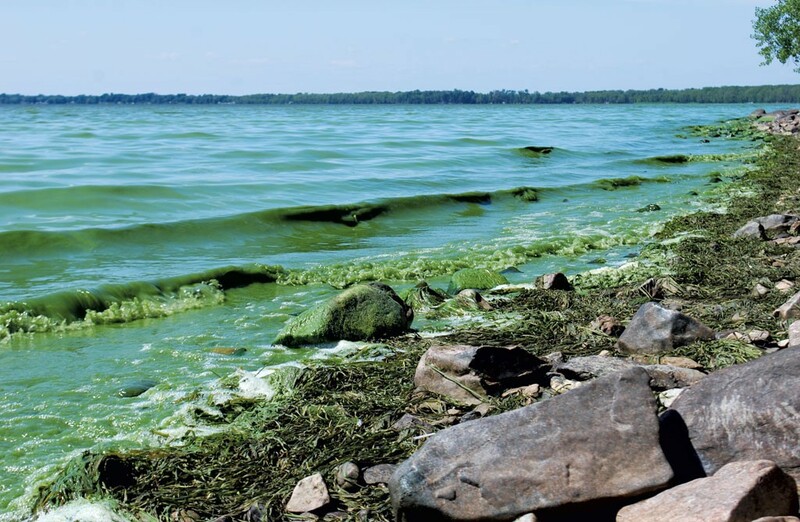 Conditions worsen in late summer, when the blue-green algae blooms, he said. McCarthy hopes the decision will draw greater attention to just how bad the lake is getting. Legislation passed this year creates a dedicated lake-cleanup fund and enacts new rules for farms and storm-water runoff. That's a good start, but more needs to be done, he said. The decision by Georgia town assessor Bill Hinman is not the first time Lake Champlain’s condition has reduced lakeside property values, but some hope it becomes a trend up and down the lake. In 2008, the town of St. Albans factored deteriorating lake conditions into reassessments, town manager Carrie Johnson said. Murdock said real estate agents have advised him to market his home not as a lakefront one, but as a nice house that happens to have a lake out front. Murdock said he succeeded this year in getting the assessment on his four-bedroom year-round home reduced from $320,000 to $276,000. But he’d like his town to take a stance like Georgia's in declaring that the lake’s condition is lowering the value of lakefront properties.